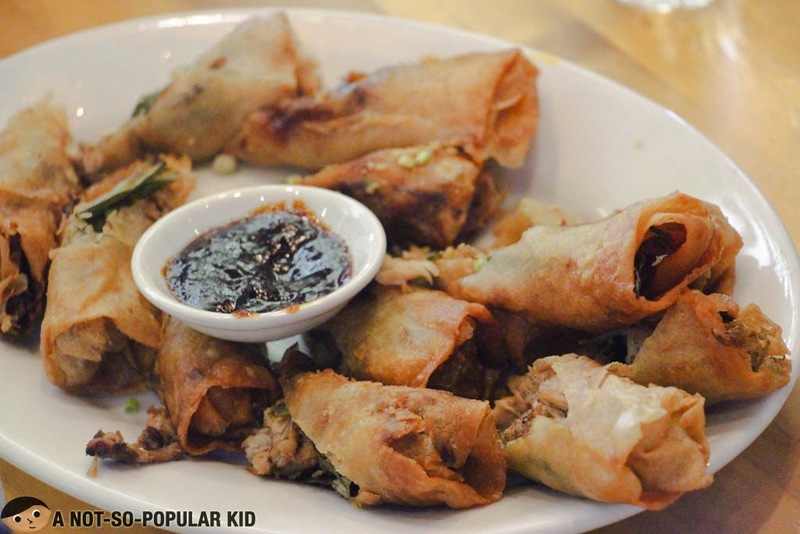 Sarsa is a celebrity-chef-owned restaurant serving contemporary Filipino cuisine, and just last week, I was able to give it a try when Madrid Fusion Manila (read more) had a demonstration held in the said restaurant. 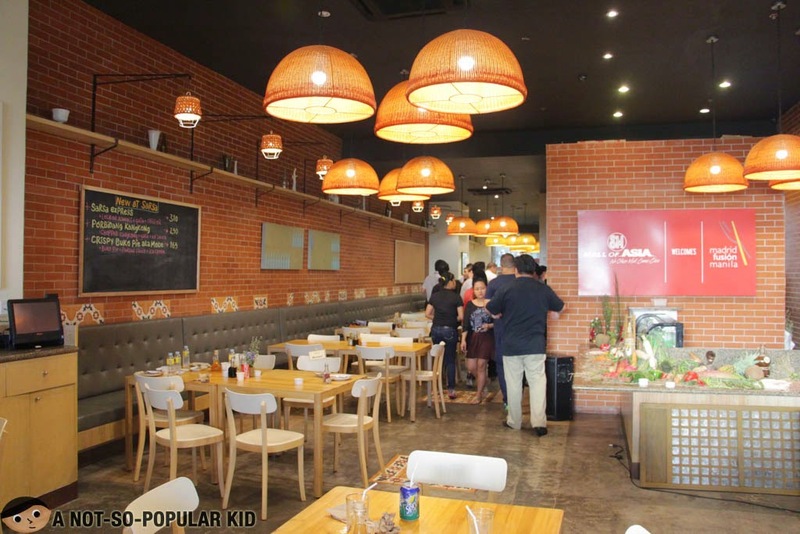 The interior of Sarsa here in Mall of Asia is quite remarkable with its modern Filipino touches. You'll find it both homey and comfy. Some of the paintings hanged around the place stirs up curiosity as they represent a piece of Philippine history. 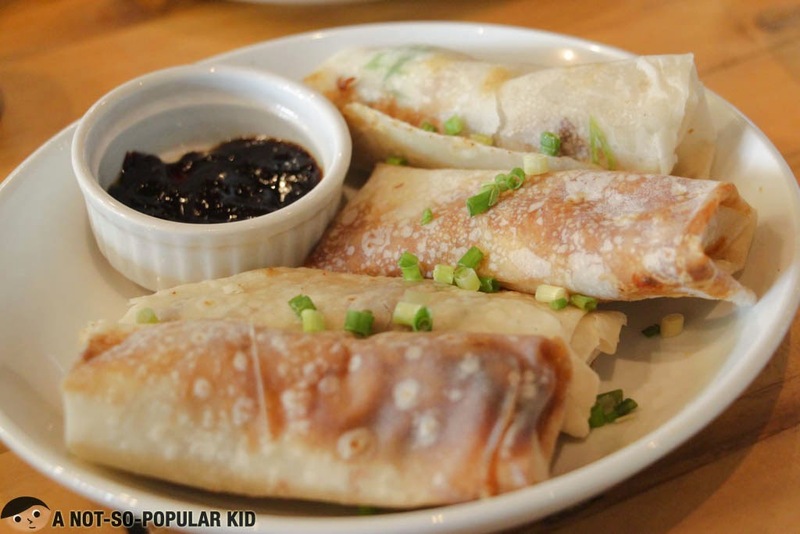 This Pritchon Pancake had this great meaty bits mixed with some veggies resulting to a refreshing taste that taste more like a fusion of Filipino and Chinese flavor; also the hoisin sauce that went with this dish was really a blessing as it mixed well with the wrap. 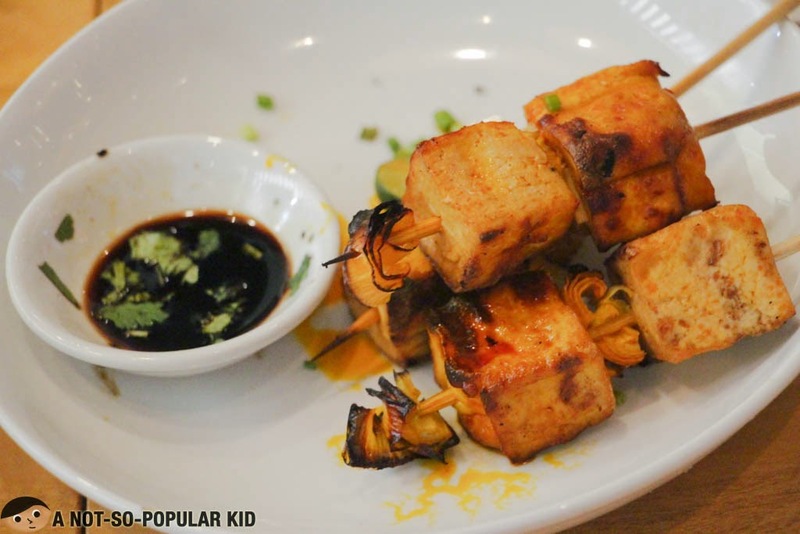 Although it's a great concept, this Inasal Tofu tasted a bit regular. What gives it flavor is the coating of the chicken oil. The chicken barbecue I had was a little salty and tough diminishing its potential to delight. Good thing it came up with a peanut sauce that I really find highly complementary. If not for the sauce the dish could have been "one of those dishes". 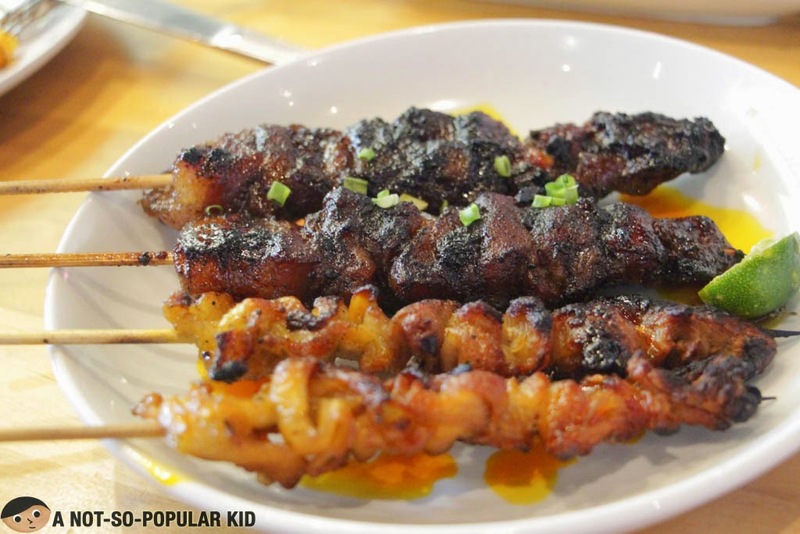 The isaw was finely cooked with a prominent smokey goodness. It was in a way "masked", since it didn't feel like I was eating a chicken intestine. There was also an abundance of umami coming from the coating of chicken oil. 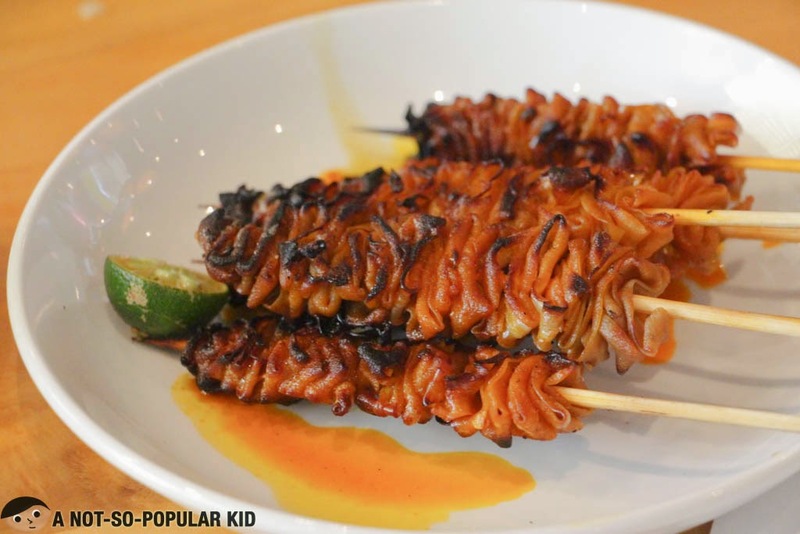 Sarsa offers umami-intensive dishes. 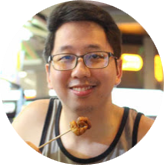 However, some were so tasty; they become overwhelming, but I believe, with the right mix and right pacing, you'll enjoy the dishes you'll have here in SARSA. 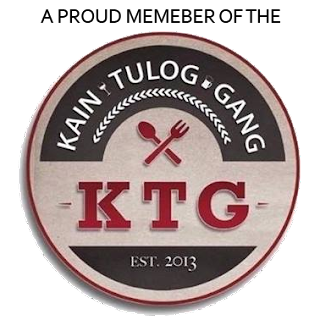 At some point, it also reminds me of Locavore Restaurant (read more) where dishes offer an avalanche of flavors (that needs proper management in order to realize full potential).